The Meydan Hotel in Dubai is a perfect destination for conducting business, sports and entertainment activities in the city. It is located close to Dubai Creek, and aims at providing community services and luxury hospitality. The hotel is a popular tourist destination, with 284 lavish rooms and suites on offer. Having won the World Luxury Hotel Award in 2013, the Meydan Hotel is an icon of luxurious living and unmatched services. With its wide array of corporate services and a business centre, the hotel is ideal for travelling businessmen, who can enjoy the trip, all the while staying connected with their work. Tourists looking for fun activities can watch live performances at the Dubai Opera House and play golf at Al Badia Golf Club. The Hotel has facilities for kick-boxing, practicing martial arts, yoga and a shooting simulator. It also offers the only full IMAX experience in UAE, with an eight-story tall IMAX screen. The Track is where visitors can enjoy playing Golf, while the hotel also offers Tennis coaching and games for both kid and adults. 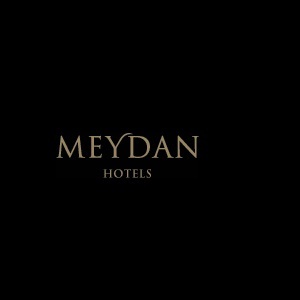 The Meydan Hotel Dubai remains open 24/7. Meydan Racecourse, Al Meydan Road, Nad Al Sheba, Dubai, United Arab Emirates. Since there is no metro or bus station in the close proximity of the Meydan Hotel Dubai, you will need to either hail a cab or rent a car to get to the hotel.